Once you braise your beef for the Ropa Vieja, Cuban Beef, you are left with delicious beef stock that quickly turns into a rich mushroom soup filled with whole grain barley. Saute the vegetables in the olive oil, add the barley, and beef stock. Season with salt, pepper; add thyme. 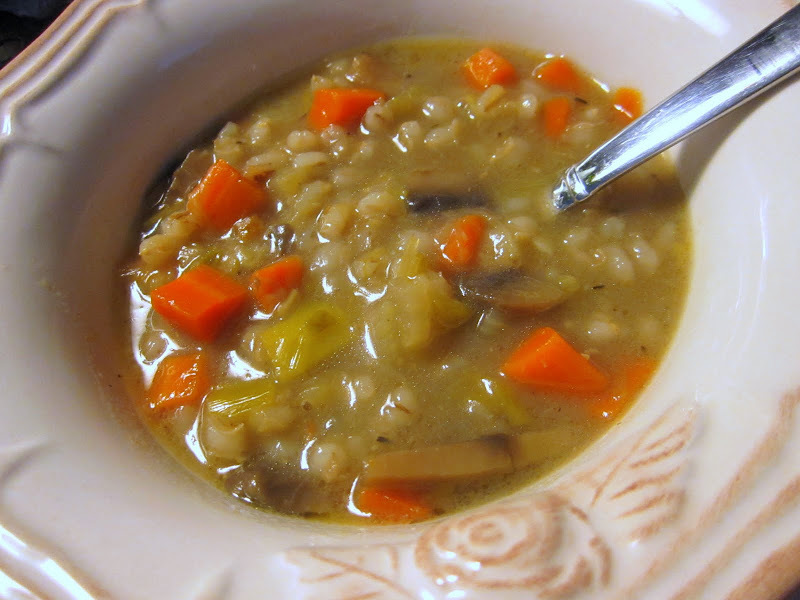 Bring to a boil, lower heat and simmer 1 hour, until barley is tender and soup is thickened. Adjust seasoning, adding more salt if needed. 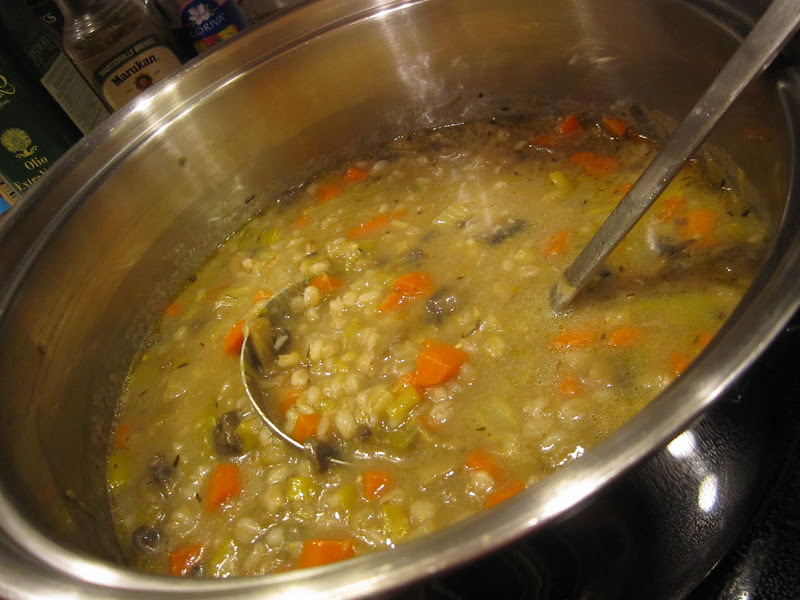 This entry was posted in Bariatric Recipes, Main Dishes, Soup, Stew, Chowders & Chili, Vegetable Main Dishes & Sides and tagged Soups.